Rocky Mountain Institute (RMI) latest report on economics of energy storage further highlights Building as a Battery is timely and cost effective platform for new construction. 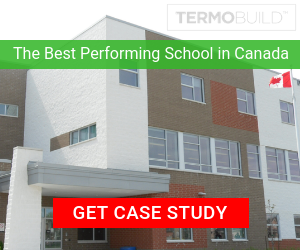 Online magazine published Termobuild solution on using the building as a battery. It’s about “Smart City” and Resilience. Termobuild took top story on Environmental Protection website; Jack Laken discusses the impact of carbon on our climate and the responsibility of collaborating on more Net Zero build solutions. Termobuild featured in Manufacturing Tomorrow; on the values of air quality ventilation for manufacturing plants and the need for innovation to meet sustainability goals for industry and employees.